While the DT are busy cooking for some new ideas and techniques we have yet another Guest Designer for June! I'snt that so kewl! And its yet again Poornima Jain, one of Lulupu's avid participant and super awesome crafter. Poornima has a very elegant and versatile style. She always comes up with intersting projects and today she will be sharing her inspiration on our Lulupu Challenge#13 - Lady Stamp-A-Lot. 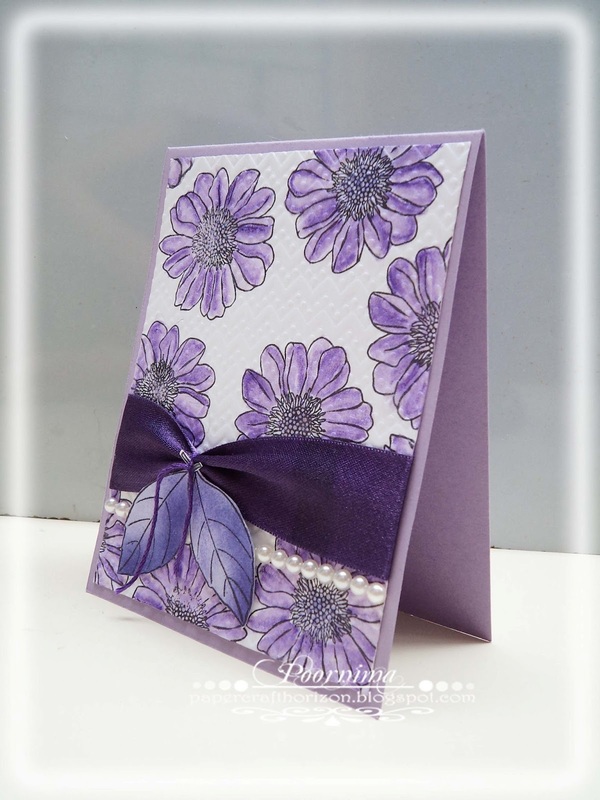 Please vit her blog to see all her other lovely creations. Hello All !! 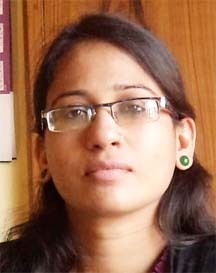 I am Poornima from Ajmer, Rajasthan and i love to share my crafty works at my blog -http://papercrafthorizon.blogspot.in/. I am a computer instructor and programmer by profession. Crafting is something I am very crazy about. I used to craft a lot during my childhood . Even during my college times, I was involved in some or the other kind of crafting. And now when I am working full time, I continue to follow my passion and this has encouraged me to start my very own blog one and a half year ago. The blogworld opened all the doors of ideas, techniques to me. I love to make shaped cards and Paper Jewelry . I do not have any specific crafting style, I just make what I am eager to try. Thanks to Lulupu for inviting me for guest designing. 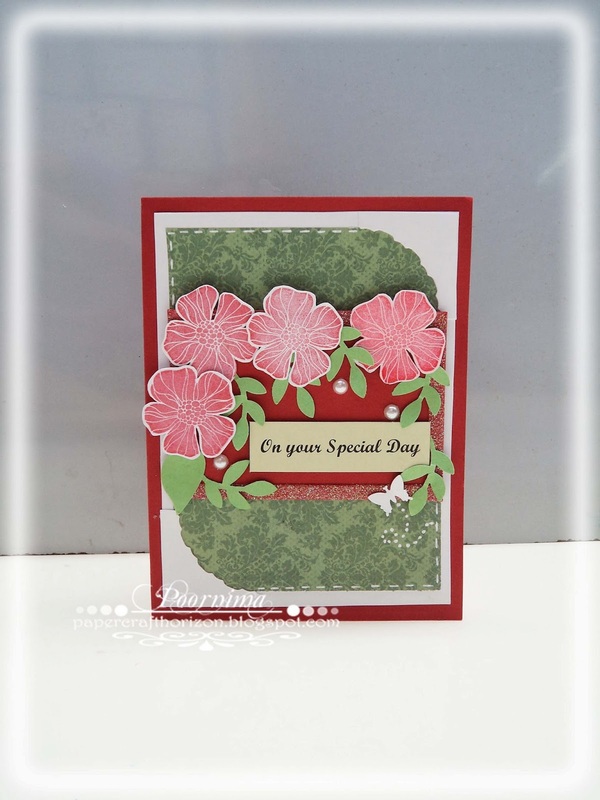 I have used the very pretty Hero Arts - Blossom Arts " stamp set to create two cards for this challenge. 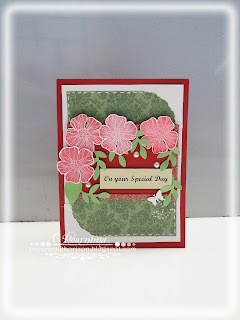 and here is my second card where i have used some Stamping, coloring and then embossing. Very pretty cards Poornima! 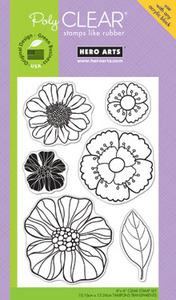 The stamp set is gorgeous and your coloring is superb. Both the cards are very lovely and elegant poornima ! nice! Like the idea of the leaves on the ribbon! Smart and adorable creations Poornima :) ! WOW! my friend these are gorgeous and what beautiful colors!! I love them both:) Congrats on being a Guest Designer!! Its all about Gesso !! Lulupu Challenge #13 - Lady Stamp-A-Lot!